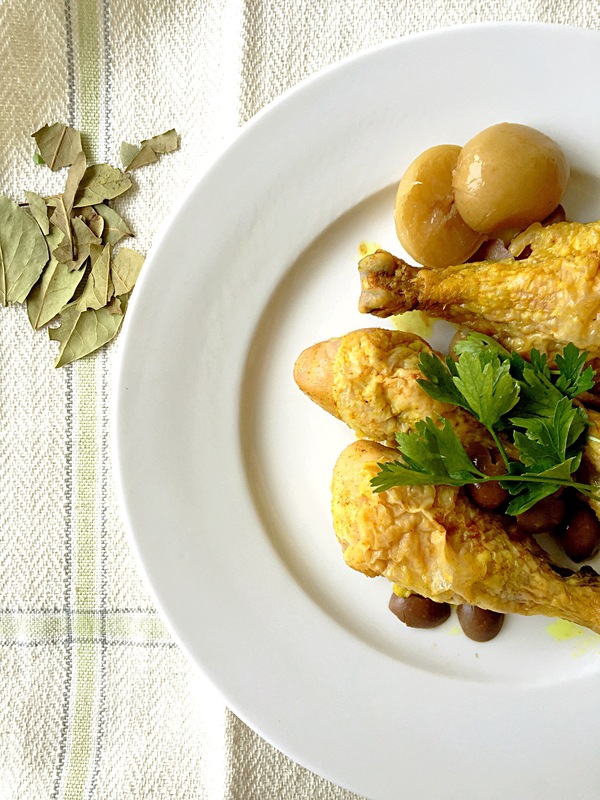 Olive chicken | The Bee's Kitchen: Tasty. Home. Cooking. I came up with this recipe imagining the taste of olives and preserved lemon mixed together in a simple oven baked chicken. I always have preserved lemon in my fridge because it’s a great addition to fish or chicken. Or because I’m just used to eat it on top of fresh vegetables salads like I used to growing up. Preheat the oven to 400. Mix in a small bowl olive oil, salt, pepper, garlic powder and bay leaves. Coat the pieces of chicken and bake for about an hour. Once the chicken in ready, cut the preserved lemon in small pieces and arrange on top of the chicken along with the olives. Sprinkle some fresh chopped cilantro for garnish.